Unpack your bags and enjoy this beautiful home located in a great neighborhood of West Lynn. Pride of ownership shines throughout in this 3 Bedroom 1 Bath Ranch with many updates. 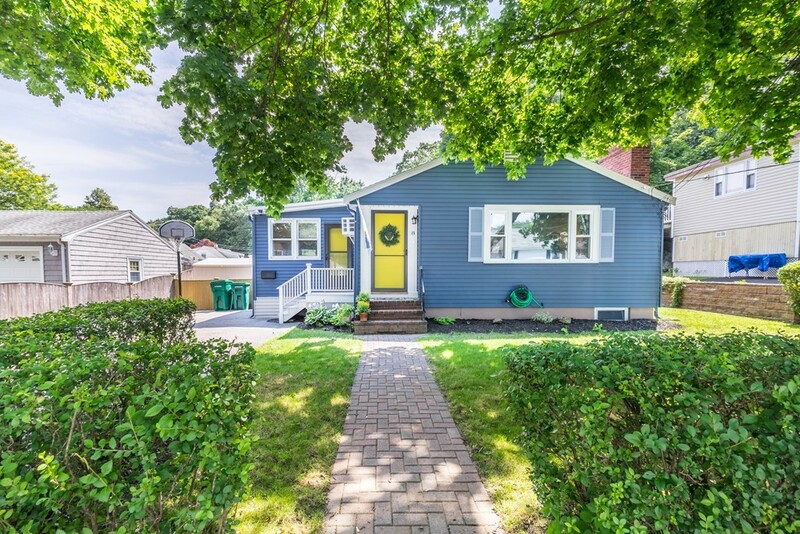 Improvements include but not limited to during ownership have been a newer roof, freshly painted exterior, updated kitchen, gas heat and hardwood floors throughout. 3 spacious bedrooms and an open concept living area with fireplace make this a great home for entertaining. Full basement can be used for storage or possible expansion. Only 4 miles to Market Street in Lynnfield and 2 miles to Route 1. All of this on a quiet street with back deck overlooking your fenced in backyard.